Is HostPapa The Best WordPress Hosting for Beginners? December 1, 2018 December 1, 2018 EarthaProduct ReviewsLeave a Comment on Is HostPapa The Best WordPress Hosting for Beginners? I’ve used my fair share of web hosting providers over the years. The reason for switching providers ranged from pricing, uptime, lack of quality customer support, and more. I’m happy to say that I’ve narrowed down my web hosting providers to three that I would recommend without any problem, one of them being HostPapa. Out of all of the web hosting I’ve tried over the years, I believe HostPapa is the best WordPress hosting for beginners. I’ll explain exactly why in this post. In order to install WordPress on most commercial web hosting providers, you still have to do it yourself using one-click WordPress installation. That is fine and relatively easy for the most part. However, I know there are still many beginners that are still confused by the one-click install option. Maybe you are one of them and simply do not want to deal with any part of installing WordPress. You may not understand how to set up your nameservers inside of your domain registrar to point to your hosting provider. Let alone going into your cPanel to use the one-click install feature for WordPress. As a beginner WordPress user, you can do everything in one place for getting your WordPress website up and running. I am hosting one of my other blogs on an optimized WordPress hosting plan with HostPapa. I chose the WP Business plan but for beginners, the WP Starter plan is more than enough. When you choose your plan, you will be asked if you need a new domain name or if you already have one. After your payment has processed, they will install WordPress on your domain for you. You will then receive a welcome email with all of the information that you need to log in into your website as well as your HostPapa admin area dashboard. It is an easy process and if you have any questions or run into any issues, you can contact HostPapa customer support 24 hours a day, 7 days a week via live chat, email ticket, or by phone. As a beginner, it is important to have access to documentation and training to help you along the way of managing your WordPress website. You will find step-by-step tutorials as well as video training for specific topics. Beginner WordPress users will find this knowledge base helpful as they are navigating their way through using their website. 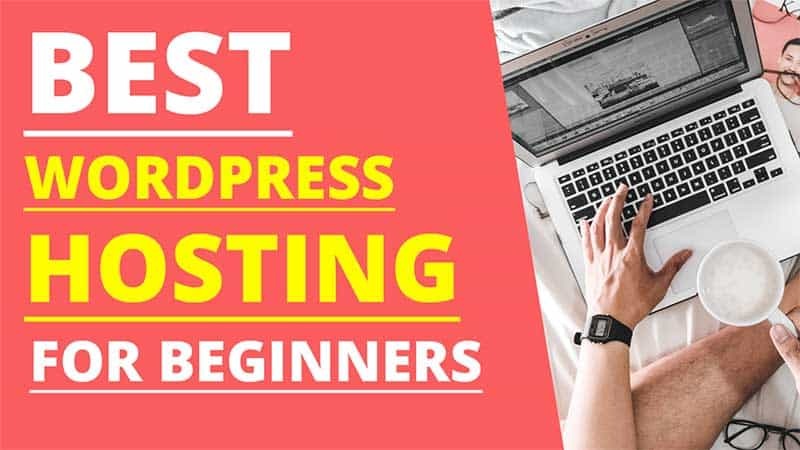 Besides uptime reliability and speed for your website, here are some other reasons you may appreciate as a beginner WordPress user. From start to finish, it really is a hands-off set-up process. Whether you need a new domain name (which HostPapa will register for free) or if you already have one, they will automatically install WordPress for you once your order is processed. The only thing you’ll have to do is log into your WordPress website and begin customizing your blog. As a new customer, you have the option of taking advantage of a free one-on-one training session. You can have all of your questions answered and get the training that you need to manage your new website. Having SSL installed on a website is no longer just for eCommerce stores. Search engines such as Google include website security as a ranking factor now. SSL stands for Secure Sockets Layer and encrypts sensitive user information as it passes from one website to another. HostPapa offers free SSL for your domain. WordPress is always being improved upon and there will be times when the software needs to be updated. HostPapa includes automatic WordPress updates with all hosting plans. They offer great pricing that is comparable to other major hosting company pricing. You can get started for as little as $3.95 per month which makes it super affordable for anyone on a budget. If you are someone that already has a domain and WordPress website up but hosted someplace else, HostPapa will transfer everything for free without loss of downtime. Your web visitors won’t notice that your website has switched hosting providers. Another thing I want to point out is that HostPapa’s pricing for WordPress optimized hosting is the same price as their shared hosting plans. Many other commercial web hosting providers will charge extra for a WordPress optimized hosting plan. Are There Any Cons to Using HostPapa? So far, not that I can tell. I’ve been hosting one of my blogs with them and I haven’t run into any major issues. The only thing that I had a question about was the SSL for my domain. I clicked on the live chat window to ask and the tech support person fixed it for me in a matter of seconds. Besides that, the pricing is great and the support is outstanding. 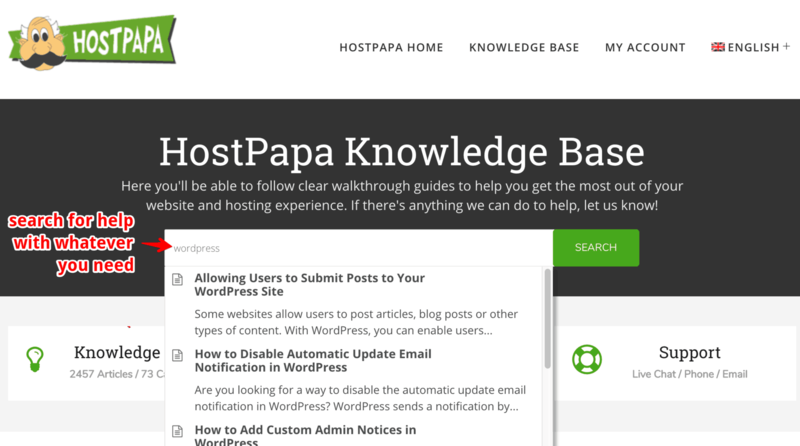 I think WordPress beginners will find it hard not to like what HostPapa has to offer. It is rare to find a web hosting provider that offers auto-installed WordPress. That is such a benefit for people that do not want to bother with installing WordPress themselves, even if one-click installation is provided. They make it really simple for someone who is new to blogging to get started. You don’t have to fuss with ordering a domain name from someplace else only to have to update your nameservers later. You can do everything at once at HostPapa and begin working on your new blog within 20 to 30 minutes. If you are interested in having WordPress auto-installed on your domain, I recommend checking out the Optimized WordPress hosting plans. I chose the WP Business plan but the WP Starter plan is more than enough for new bloggers. I hope this review has been helpful. I wish you much success with your new blog!